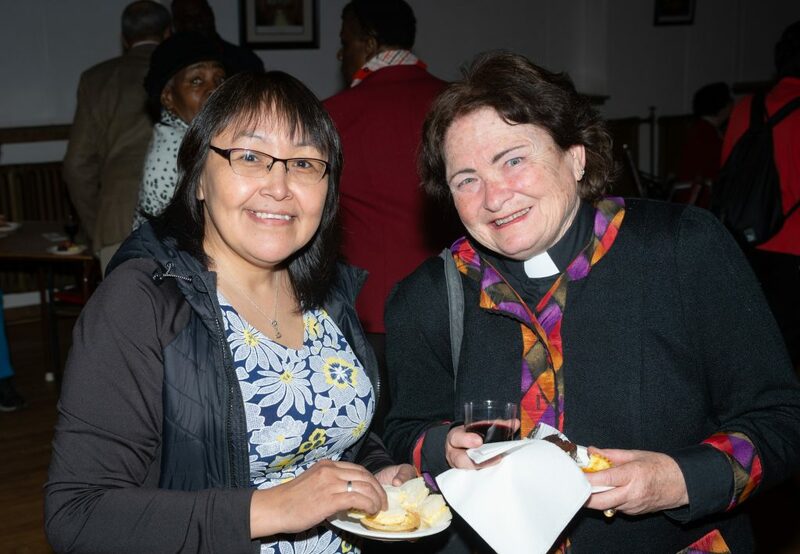 Montreal Dio’s Convocation on Monday, May 7 at St. George’s Church in downtown Montreal was an evening of prayer, thanksgiving, and delight in the college’s graduates and their ministries. 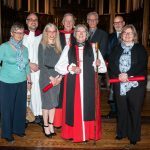 The college awarded three Master of Divinity degrees to Joel Amis, Tania Lesack, and Jonathan Widell. 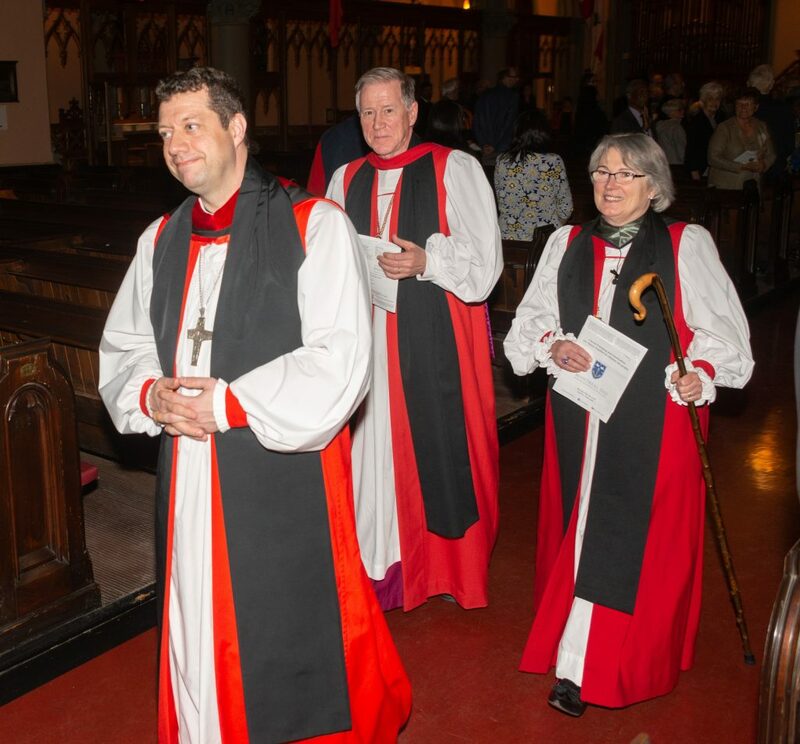 Originally from Georgia in the United States, Joel and his wife moved to Montreal seven years ago and became active in Christ Church Cathedral, where Joel discerned a call to ministry. Tania grew up on the west coast in a Ukrainian Orthodox family. 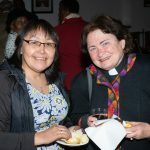 After settling in Montreal, she in time joined Christ Church Cathedral and became a lay reader. She completed her M.Div. 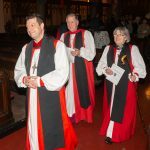 studies part-time over several years while also working in various roles in the diocese. 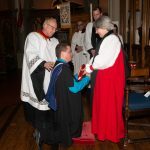 Jonathan is originally from Finland and has worked as a translator before settling in Montreal and coming to the Anglican tradition through St. John the Evangelist in Montreal. 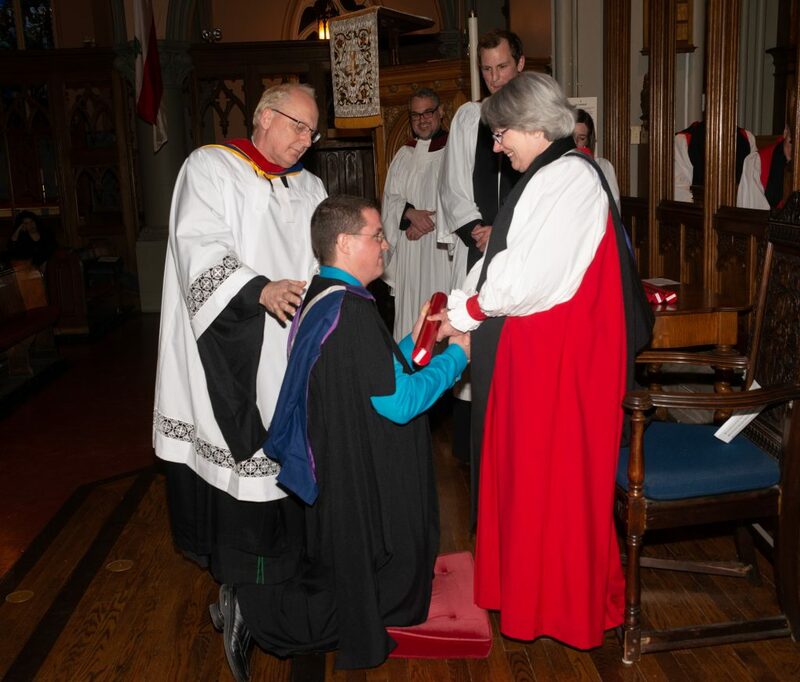 It was the first Convocation for the college’s new principal, the Rev. Dr. Jesse Zink. 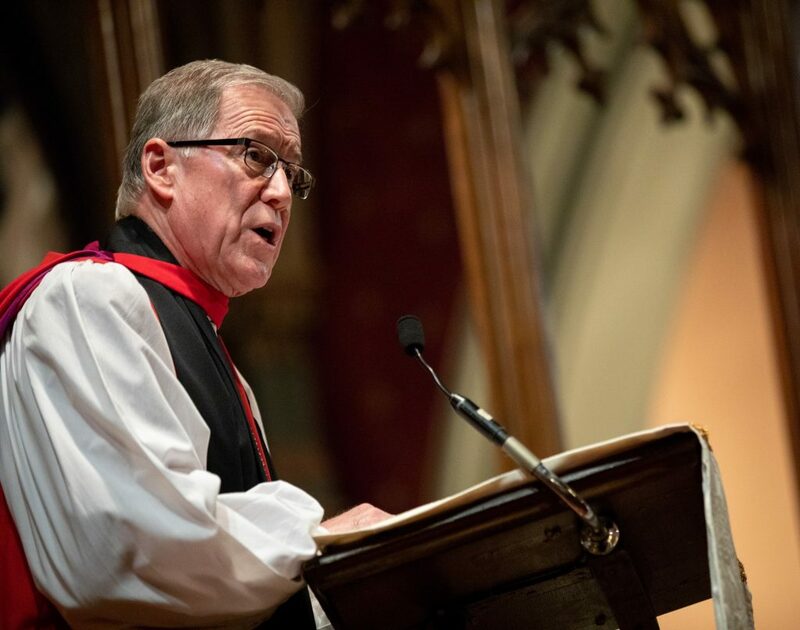 In his words of welcome, Dr. Zink gave thanks for the warm welcome he has received in the college, in the McGill community, and from churches in the province of Quebec. 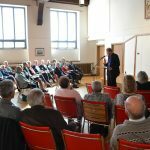 Earlier in the afternoon, the new college Corporation gathered for a question and answer session with Bishop Fred as he reflected on his distinguished tenure as primate. 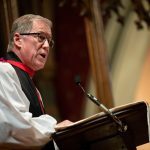 He spoke about his work calling the church to a new emphasis on mission, the centrality of theological education to the life of the church, and many other aspects of his tenure, which will conclude at General Synod in 2019. He hastened to point out, however, that he is not retiring so much as resigning from his role and primate. In due time, he hopes to return to parish ministry, his first calling and work he said he still cherishes. Membership in the college Corporation is open to all who wish to join and several further events are planned for coming months. 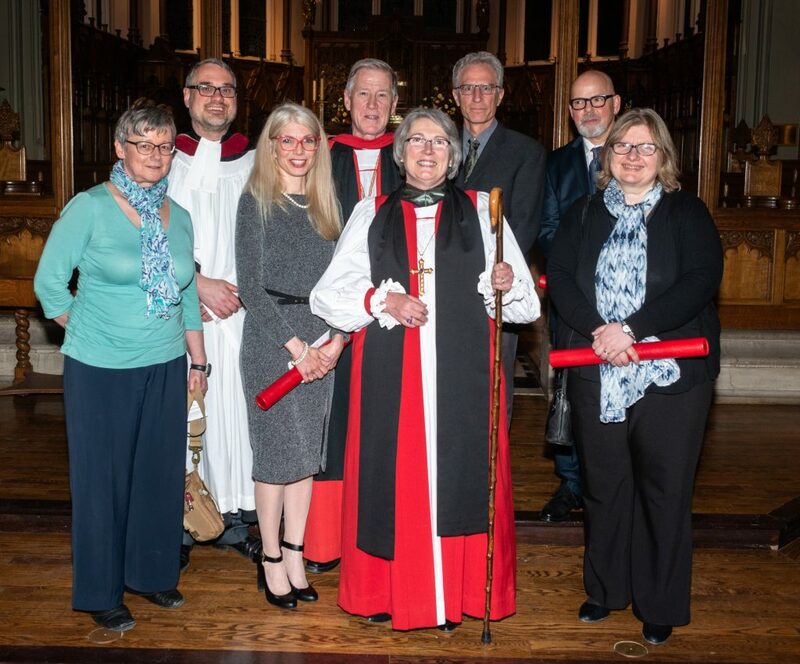 Three graduates of the Education for Ministry (EfM) program in the Diocese of Montreal were also recognized: Lee-Ann Matthews, Randy Gates, and Marian Dagher. The EfM group meets at the college every week during the year and is currently taking registrations for the program for next year. 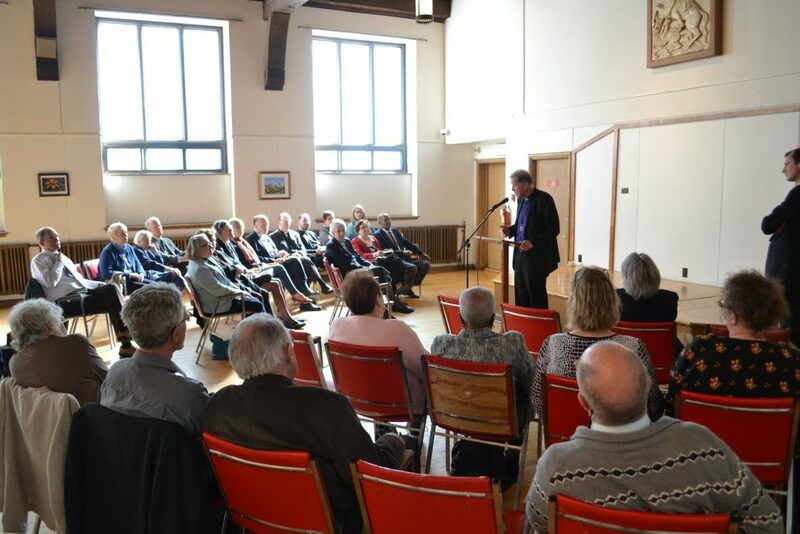 The service was well attended by members of the congregations which graduating students served in in their studies, as well as by many members of the diocese and especially of St. George’s, a church whose members have historic ties to the founding of the college in 1873.